Combine the best of creative form and functional design with this LED Cinematic Light Decorative Box Set by Lavish Home. 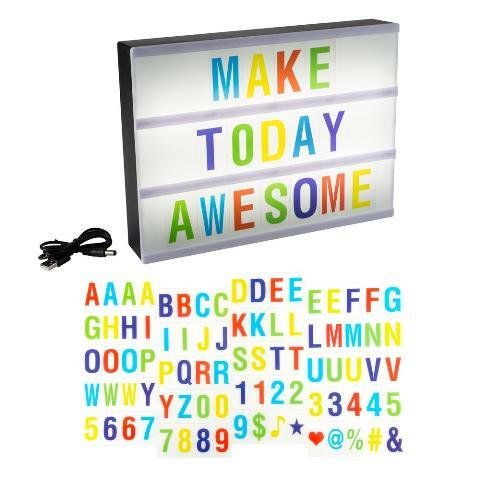 Inspired by cinema marquee signs, simply slide interchangeable clear plastic tiles into rails on the front of this sleek light box to make your own customized message. 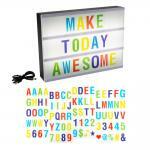 Flip a switch and watch your words light up and get brought to life. Great for home decor, milestone and special occasion announcements, weddings, birthdays, photo-shoots, commercial, office, school use and more. Dimensions: 8.75 in. x 11.75 in. x 2 in.